Former WBO and WBA flyweight and light flyweight world champion Brian Viloria are set for his comeback fight on March 2, 2017, in Japan. 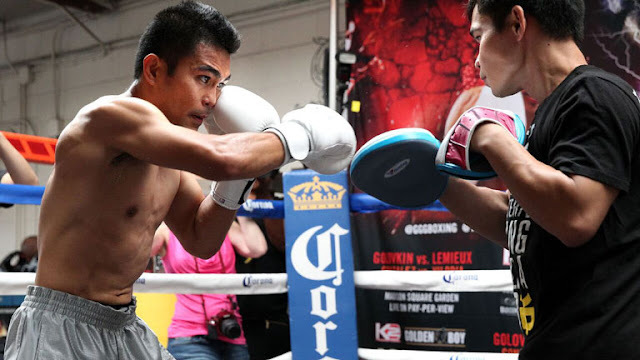 Viloria who currently handled by Teiken Promotions will fight on the undercard of Shinsuke Yamanaka vs Carlos Carlson WBC World bantamweight title fight. Viloria last saw defeated by Roman Gonzalez in October of 2015. He was stopped by Nicaraguan in the 9th round of their fight. With the record of (36W-5L, 22KO) the Hawaiian Punch still wants to make one last run for a world title. No opponent yet announced for Viloria but he will surely fight on the said date.